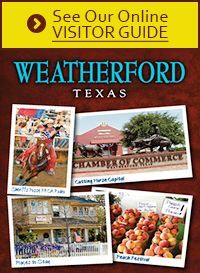 To make your move to Weatherford a smooth transition, please call or visit the Weatherford Chamber of Commerce for a relocation packet. Visit our business directory for services you may need for your move. Available to all Parker County residents. May be required to show proof of residence. Policies and procedures may change. Please contact recycling center for latest updates.